Ongoing Investigations: Aquarion EVOL vol. 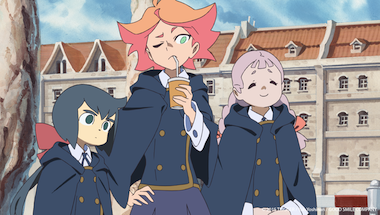 2 by Shoji Kawamori and Aogiri, Yoroiden Samurai Troopers TV from Sunrise, Fangirl by Rainbow Rowell, On Basilisk Station by David Weber, Little Witch Academai 2 from Studio Trigger. Combine all ingredients in a cocktail shaker with ice and shake well. Strain into a cocktail glass and garnish with an orange slice and mint sprig.